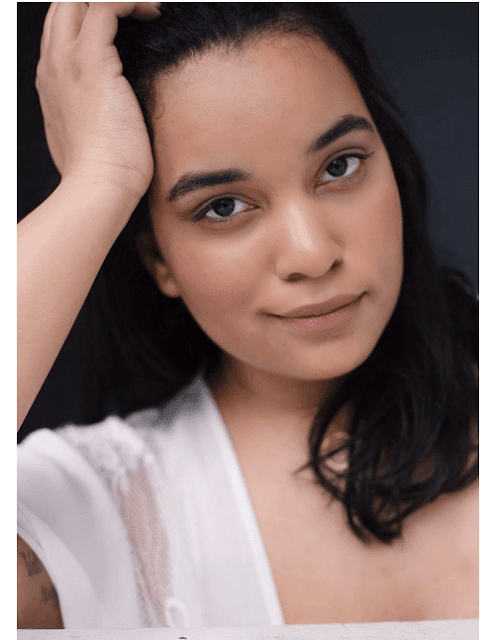 Denise Mercedes started her modeling career at the age of 13 and hasn't looked back since. Her journey began when she filled in as a receptionist at her neighbors photography studio. On her days off, Denise's boss would allow her and her friends to take photos in the studio just for fun. Soon, Denise realized that posing in front of the camera was more than just a hobby. 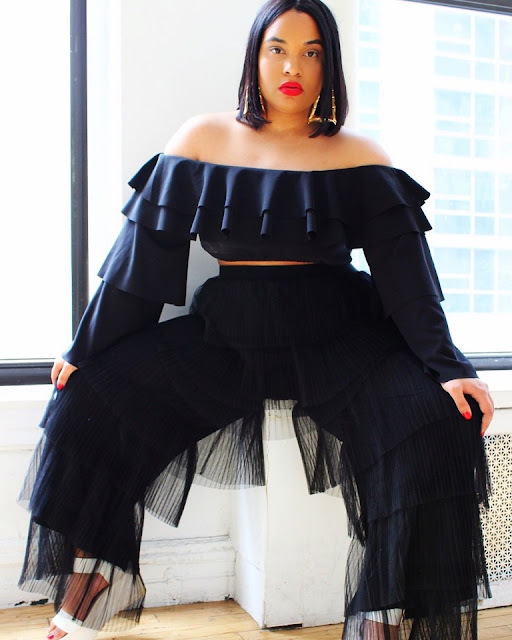 Now at the age of 26, this aspiring beauty has a signed deal with MSA models in New York City and has worked with top brands like Forever21, Target, and JC Penney. She breaking barriers and setting her own rules, but the best part of it all...she's just getting started. Q: In your own words, who is Denise Mercedes? I'm just a woman who struggled with insecurities when I was much younger and now as a model, I want to inspire and encourage young folks to appreciate themselves and not care about what others have to say about them. Q: You created a fantastic body positive movement for women called #BecauseItsMyBody. How did you come up with the concept for the campaign? Well one day I was sitting at the dog park with my dog, and I was on Instagram, I came across a comment that someone had left under my picture, and I could not help but think how someone who does not know me can make such an awful comment like that towards me. I felt angry but also thought to myself how so many people can get mean comments about them whether it's on social media or even in person. So I wanted to start a campaign not just for women but men as well because we've all been criticized about something in the past and I felt like many people would be able to relate. Q: Let's spend a few hours with you. Can you take us through your typical day in the life of Denise Mercedes? Sure! On a typical day, once I am up, I check my emails, drink coffee, take my dog for a walk, update my fashion blog, and depending on if I have a shoot that day then I fo on and head to my shoot. After the shoot, I come home and wait for my boyfriend to get out of work, and he comes over. Then we just lay at home and watch tv and talk about our day. Q: What do you see as your place or purpose in life? I didn't know what my purpose was until I started posting pictures of myself feeling and looking confident and having girls of all ages and body types message me letting me know that I have inspired them to feel better about themselves. I just felt like I knew what they were feeling and if it takes me posting pictures of myself appreciating my curves to encourage other girls to love themselves and life, then this is what I will do. Q: If modeling was suddenly no longer an option, what would you spend your days doing to feel fulfilled and most alive? Well, when I was younger, I wanted to study to be a veterinarian because I love animals and if modeling were not a choice anymore, then I would love to do anything that involved lots of animals. Animals make me happy. Q: Do you have any regrets? Hmm, that's a tough one. I feel like we all have certain things in life that we could have done but didn't, and that's ok. Maybe one day we will. Q: If you could have brunch with any group of women in the world, who would it be and why? Lana Del Rey, Ashley Graham, and Tyra Banks. Lana because she's my favorite singer in the whole world and Ashley and Tyra because, to me, they are very inspirational. Q: Words of wisdom for any young girl wishing to model? If that's what you really want to do, then keep going and never quit. Know that rejection will happen, but more opportunities arise from rejection than not trying at all. Q: Do you have any upcoming projects/events we should be on the lookout for? Oh my! Indeed I do! Though I am supposed to keep this a secret until April so please stay tuned! I have a few, but my biggest one is when people litter. Let's keep our world clean, please! Q: Netflix show everyone should be watching? Stranger Things! My favorite show. Morning: Cetaphil wash, Cetaphil moisturizer with spf. Night: night wash and then my Mario Badescu glycolic toner and Aveeno night moisturizer. Q: TV series you would love to see a reboot of? Traveling to every country in Europe. One day for sure! Q: The last movie that made you cry? A lot of movies make me cry lol! A Dog's Purpose made me cry like a baby! Q: Current song on repeat? Saving Your Marriage Before It Begins: 17 Questions To Ask BeforeSaying "I Do"
Blog design by This Girl Design. Powered by Blogger.